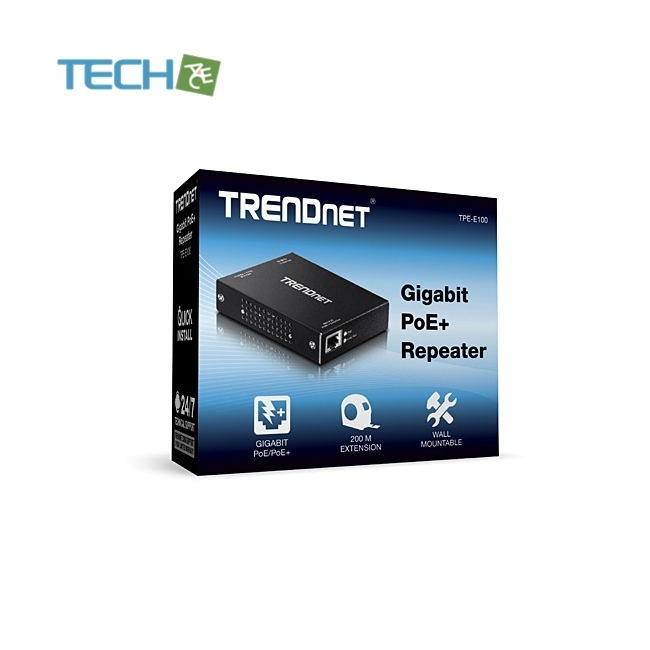 TRENDnet’s Gigabit PoE+ Repeater, model TPE-E100, extends a Gigabit PoE/PoE+ network connection to a remote location. 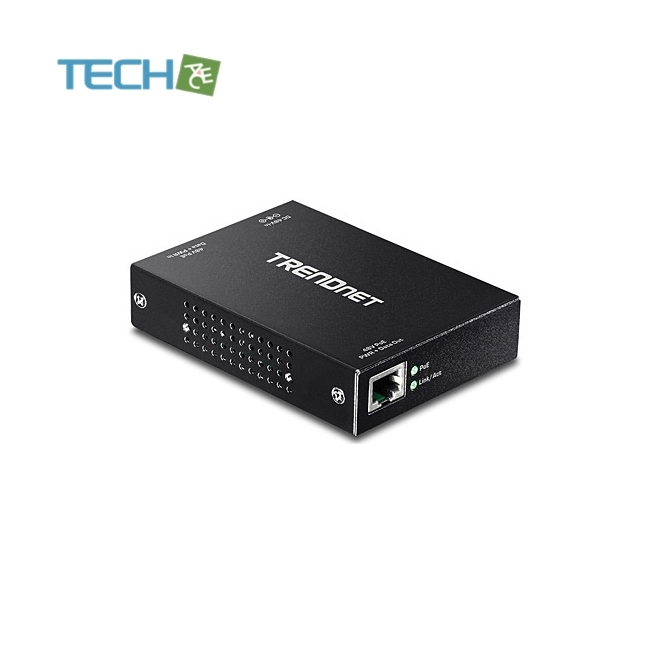 It auto-detects a PoE (15.4 Watts) or PoE+ (30 Watts) signal and extends it an additional 100 meters (328 ft.) for a total distance of up to 200 meters (656 ft.) from the PoE device. 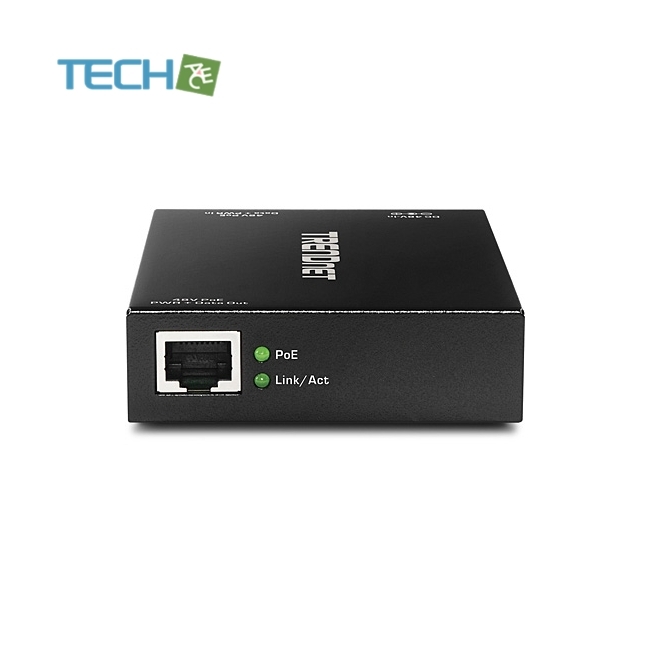 Daisy chain two TPE-E100s for a total PoE network extension of 300 m (980 ft.)*. 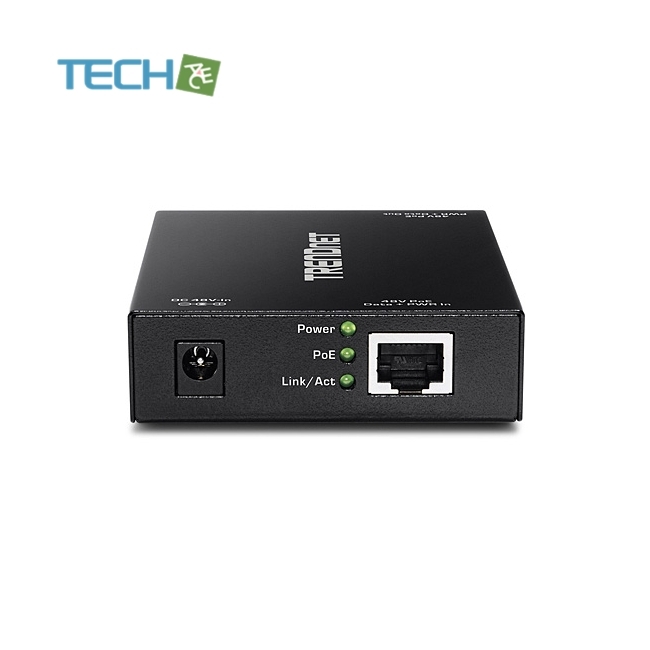 Handy mounting points and no external power adapter facilitate remote installations.